James Hillman, psychologist, talks about our “acorn” or “diamon” which we commonly call the soul. An acorn becomes an oak and a diamon will find its way within you. Hillman suggests parents are chosen for your life’s task, even parents who get in the acorn’s way is part of its plan. His thoughts are inspiring yet ring of a predetermined destiny that’s more Calvin than Catholic. He uses famous people to make his point while I reflect back to 1964 in my bedroom alone holding a stick with a golf ball nailed to the top and a string running to nowhere. All four walls are covered with TV Guide pictures of celebrities and their TV programs. My 60 minute weekly task was to entertain my imaginary audience in front of me with wit, music and more wit. It’s not easy filling 60 minutes alone holding a stick but I did it faithfully for two years. My dad bought me a small Sony reel to reel recorder which I can perfectly describe today. I thought he bought it for me because it was cheaper than child therapy. Jump ahead two years and four of us seminary guys escape at night and hitch hike to my hometown to visit the local radio station and visited Big Boy, the big restaurant in Manitowoc, WI. The announcer begrudgingly runs down the stairs to see teenagers who request “We Gotta Get Out of This Place,” by The Animals which he dutifully plays for us. One more year forward and I’m milling around that same local radio station. (How does one “mill” anyway?) Bothersome may be a better word but I got to know the announcers and learned that a weekend opening was available from an announcer who’s off to UW-Maidson. I meet with him and he’s the announcer who played “The Animals” song for four refugees from a seminary. With his final instructions on a Saturday night in September 1969 and giving me the station’s key, he’s off to college and I have “Lay, Lady, Lay” by Bob Dylan rotating on one or two turntables with the other one empty. 2:00 minutes until my first words are sprouted in an empty building to an unknown (imaginary?) audience somewhere in the radio signal’s listening area. My remaining two years of high school is on the radio, Saturdays, 6:30 p.m.-Midnight and Sundays, 7:00 a.m.-3:00 p.m. (Sunday morning meant a taxi stop first at the police department for any overnight Manitowoc action, often a fruitless trip.) I was a rock-jock on Saturday nights and a mellifluous beautiful-music-provider on Sundays until the live Lutheran church service. With the church service complete, I became the Polish Polka Prince. I was in my own. What prompted, promoted or propelled me to this eluded me then but intrigues me now. Now it’s 1965 and the empty bedroom in the back of the house becomes a sacred space for my sacred, private Sunday Mass held after the real one. Wearing plastic vestments gotten from a magazine, a dictionary for my priest’s prayers and the parish bulletin for my sermon, I was in my own along with paper hosts and my mother’s vases for the vessels. I mumbled softly what was hardly Latin but it didn’t matter, what only mattered was that I was doing it, it counted, I looked forward to it and I repeated it faithfully every week. 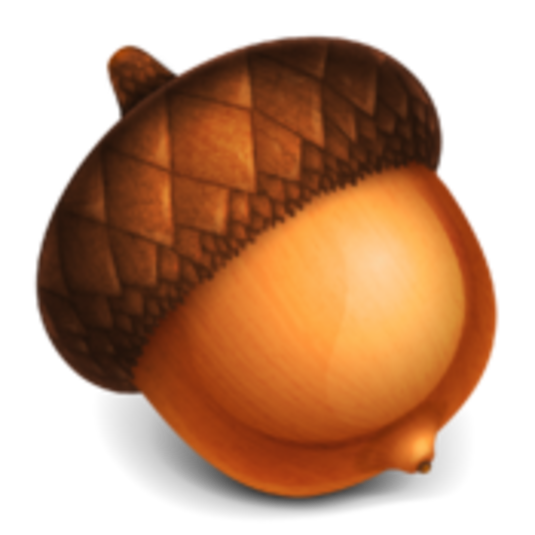 The acorn somehow found its powerful way to make this all happen. 60 seminarians in my high school class and one becomes a priest. People today stop me and say, “You should be in radio, you have that voice.” I thought I was doing this on my own with my own will and persistence but thanks to Hillman I wonder about an ancient word like “diamon” (Plato), or a natural one like acorn (earth), or the spiritual one like guardian angel (Catholic). I tossed my college cap into the air and I knew where it would land and if I didn’t know than perhaps something or someone else did. This entry was posted in Angels, Spirituality and tagged acorn, diamon, Guardian Angel. Bookmark the permalink. Bravo! Congrats its thirty five years.